We’re back from our summer break, and it looks like autumn already – there’s a chill in the air and the hedgerows and apples are nearly ripe. We hope you had a lovely summer, and will join us in celebrating late summer and community spirit this Saturday at Highgate Newtown Community Centre. 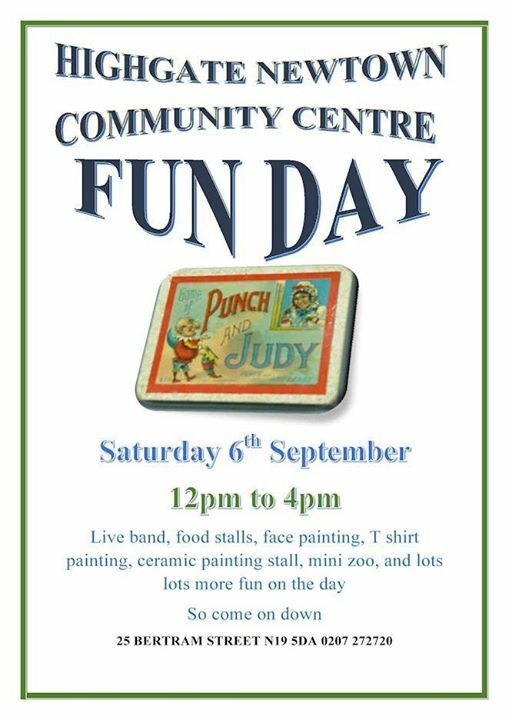 They are holding a community day from 1pm-4pm with food stalls, ceramics, a live band and plenty more. Transition Dartmouth Park are excited to be joining the event, and showcase the three gardens we have created at HNCC – two at the back for education and food for the HNCC café, and the new one at the front which is currently exploding into bloom with tomatoes, sweet corn, spinach, flowers and lots more. If you’re at HNCC on Saturday come and say hello, and join in kids planting activities, container-growing advice, and a seed swap.